I don’t know about you, but I have been curating a list of my working associates, friends and family ever since I got my first email address. Once cell phones came along, I started collecting phone numbers and contacts this way. 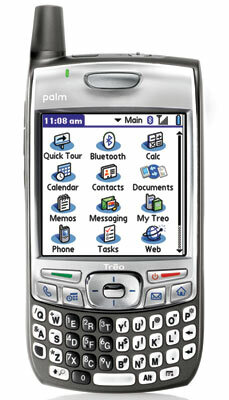 Then, I came to work at my current job where they handed me a sweet Palm Treo 700. At the time, I combined all of my contacts, emails and phone numbers in to one grand list and was happy! As time wore on, I added more contacts, changed and added email addresses, changed email providers, got a smart phone, etc. Each time I made a switch, I did my best to migrate and merge my contacts. Over time, errors were made, duplications happened, and things were a mess. I thought I solved the issue two or so years ago by deciding to make my work Gmail account the master of all of my contact information and did my best to clean it up and set up my computer to sync with Gmail. Once I got an iPhone and various iPads, I thought that by setting it all up through Google as an Exchange account, things would just work. It seemed as it was for a while, but then one day after adding a new contact on my phone, I tried to bring up that information in Gmail….. No luck. I had no idea how long this was the case, but it appears that Google changed their system as of January 31, 2013 to not support Exchange for new devices/setups but would allow it to work if you had Exchange set up prior to the switch. It seems that I did have contacts syncing, but I was syncing with my iCloud account. So, if I were using Apple Mail or Contacts, creating and syncing new contacts was fine. Since I spend 90% of my email time on Gmail in Chrome, that wasn’t doing me much good. BACKUP! Before doing anything else, I didn’t want to end up loosing ALL of my contacts, so I made a backup up my current list with the Contacts app on my Mac. You can do this by opening up Contacts, heading to File –> Export… –> Contacts Archive… and following the steps from there (image). So, I now have a backup of all of the contacts on my Mac and all of the contacts on my phone. Next I imported all of my phone contacts into Contacts, and moved forward. Second – clean up the duplicates and random contacts that accumulate over time. As I said, I had over 1,500 total contacts. I KNOW that I don’t know that many people (or at least that many that I want or need to communicate with). The Apple Contacts app does ok with this sort of task, but I wanted to do it faster and better. I looked in the Mac App Store and found Address Book Clearout (UPDATE: New version for Yosemite and El Capitan is now Contact Clearout). After importing my phone contacts into the Contacts app (File –> Import… and browse to your saved My Contacts backup file), Address Book Clearout could do it’s work. It did a really great job with identifying and helping me process contacts that were either identical, All & More (one contact has everything a similar card has, plus some additional information), close matches, and possible duplicates. If you trust it, you can eliminate all of the duplicates that come up as identical, as well as keep the ‘all and more’ cards with one click for each type. I didn’t trust it (yet) so I went through all of my duplicates one by one. The program also lets you easily drag addresses, notes, phone numbers, even contact photos from one card to another so that you can clean things up and make one card perfect so that you can delete other similar duplicates. For me, this process took about a day. But I went from 1,500 contacts down to 680 some odd. Much improved! Third – Cleaning up Persons/Companies and updating Groups. I went back to the Apple Contacts app on my computer for this. I had a LOT of contacts that looked different, but I had added them once as a Person when they were really a business or mailing list, and some individuals that I had listed as companies. Contacts in this situation may have been duplicated as people when they were really companies, so I had to merge them back up. As far as adding people to the Groups that I wanted, Address Book Clearout has an interesting grid view to add people to groups, but I had too many contacts and too many groups for it to be functional for me. I again went through my list and just drug them into the group(s) I wanted them in in Contacts. This took another half of a day, but this really helped me out and I’m now down to 640 contacts. Now, I have one ‘Truth’ of my contacts on the Apple side of things – My iCloud/Mac and my iPhone. I again made a backup from Contacts called ‘Clean’ with the date so that I again had something to fall back on if things got catastrophic during the next phase – Googlization! Fourth – bring in Google Contacts and eliminate further duplicates. At this point, I could have just imported my ‘Clean’ contact list into Gmail. However, I had more fine grained control if I used Address Book Clearout for processing dupes. So, I exported my Gmail contacts to a file, File –> Import… them to my Mac/iCloud Contacts app so that I can process the duplicates with Address Book Clearout. Again, I made a backup once I was done, dated and called something like ‘Combined Clean’ – this may be the most important step since the next step is on the SCARY side. Now, I have one complete ‘Truth’ for all of my contact information that I will add to and sync with other systems and services. Whew! Last, I need to wrap this all up and get my new clean list back on my iPhone – where all of the trouble began. To do this, I went to the Settings app on the iPhone, scrolled down to ‘Mail, Contacts, and Calendars’, and turned off Contact syncing in both my iCloud accounts and work Gmail accounts. Again, it’s a scary thing but I have lots and lots of backups by this point. Now, I need to set up a new account that is only for contacts, called a CardDAV account. The instructions on how to set this up are here from Google. If you are still syncing contacts from another account, you’ll need to scroll down on the same page and set up Google contacts as your default account, so that when you add new contacts on your phone they’ll be instantly updated and added to Gmail. That’s it! It’s a lot, I know, but I was SO happy when I added a new contact and updated another on my phone and could see the updates a few seconds later in Google Gmail Contacts. Leave a comment below if you have any other questions about the process, or if you know of a way I could have done this faster/simpler/better.